I remember before 2 years back blogger shows blogspot.com domain and after that some duration it converts to blogspot.in. This change is based on country specific domain. Blogger announced all BlogSpot domains means blogspot.com to converts to .in, .au. etc. It’s based on country specific domain extensions. This is called as redirection of domain. 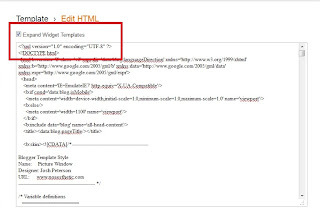 Recently this redirection is implemented in India for all blogger blogs. In one hand this redirection is called as 302 redirect, which include in temporary redirection and not 302 Redirect which is permanent redirection of Domain. That we learned in last article post. This redirection coding is also known as a ‘country-code Top level Domain’ (cctld). If you browse a blog like xyz.blogspot.com from India it will supposed to be show xyz.blogspot.in, Similarly if browse same blog from Australia, it will be blogger redirection to xyz.blogspot.au. And same with other country like New Zealand etc. Take the following steps to disable country specific Domain redirection in blogger blog. 2. Click on Proceed. 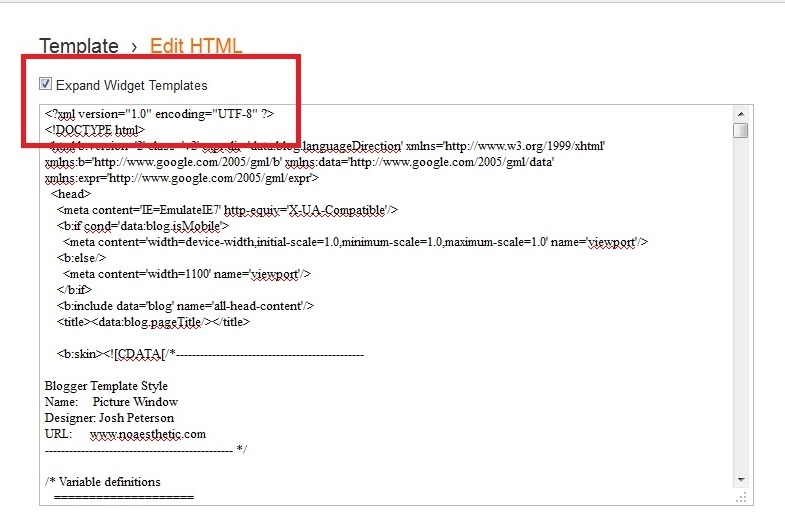 You will see all code of your blog is there. First you have to take your blog backup on your local PC. 3. 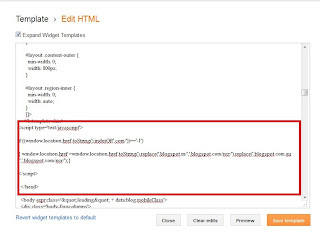 Now click on check box of Expand Template Widgets. 4. 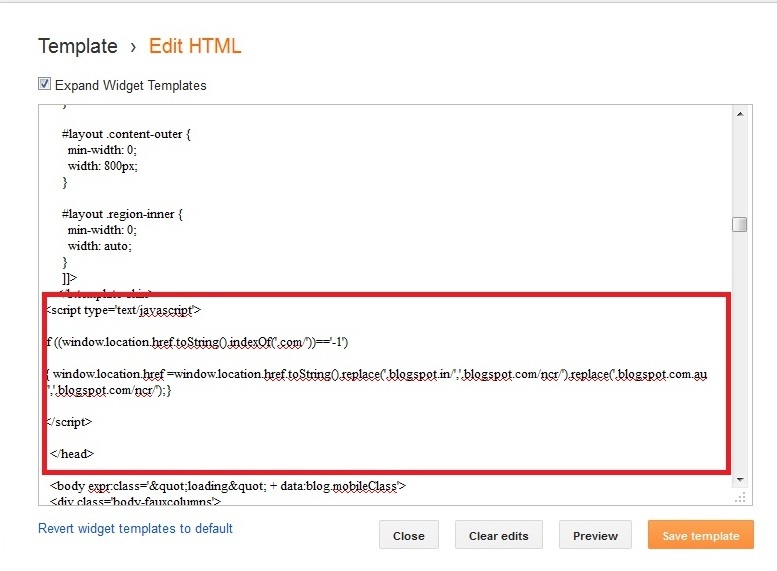 Secondly search for </head> Code in your template. 5. Copy following Code & paste Before </head> and save your changes. What is Digg & How it Works?